The result for matric 2016 has been already announced by all the major BISE boards of Punjab including Lahore, Multan, Rawalpindi, Faisalabad and many more. The result of matric is one of the most awaited result for the students because it is their first board exam result. On the bases of their matriculation exam result, many student decide about their future career and about the field they will study in the future (intermediate). This year, the top position holders scored about 98% in their exam and qualified for high prizes by the Punjab government, district government and their school. While they are celebrating their success in exams, there is a house in Kasure who is sad because their son has got 93% in matric exam has been died one month before in Ramadan while swimming in BRB canal in Kasur, near Lahore. 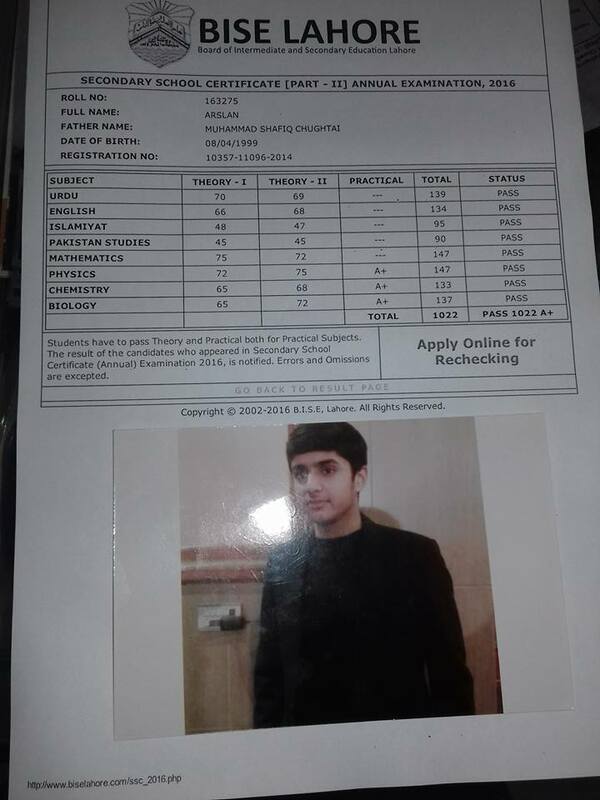 Muhammad Shafiq Chughtani who was 17 years old appeared in matric board exam but did not lived enough to see how much he has scored in his exam. According to one of Shafiq's friend on Facebook, Shafiq was died due to panic attack while he was swimming with his friend in a canal in Kasur. It was not first time when he went there for swimming. But that day was not his day. He was died at the spot where it took 3 days to rescue team to found his dead body. 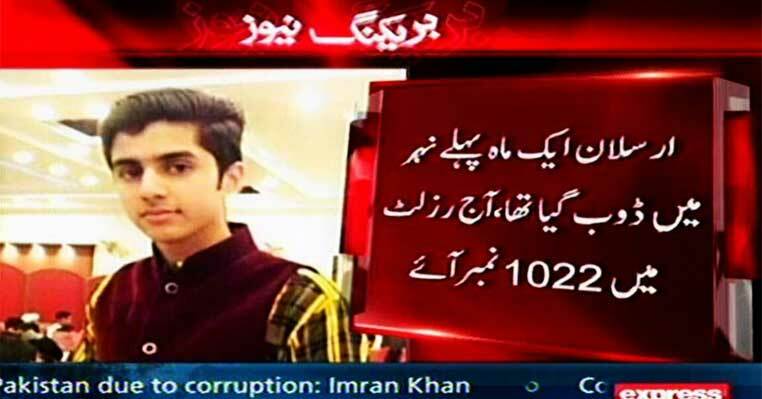 He total scored 1022 in his matric board exams. Every year we heard stories about students who commit suicide due to poor marks in the exams. But the story of Shafiq is totally different than others and people who commit suicide should take lesson from this story and understand the value of their life. You can see his result card below. Shafiq was indeed a hard working student but did not live enough to fulfill his dreams for which he was already prepared and start working on it. His excellent performance in exam is the proof of his interest toward studies.